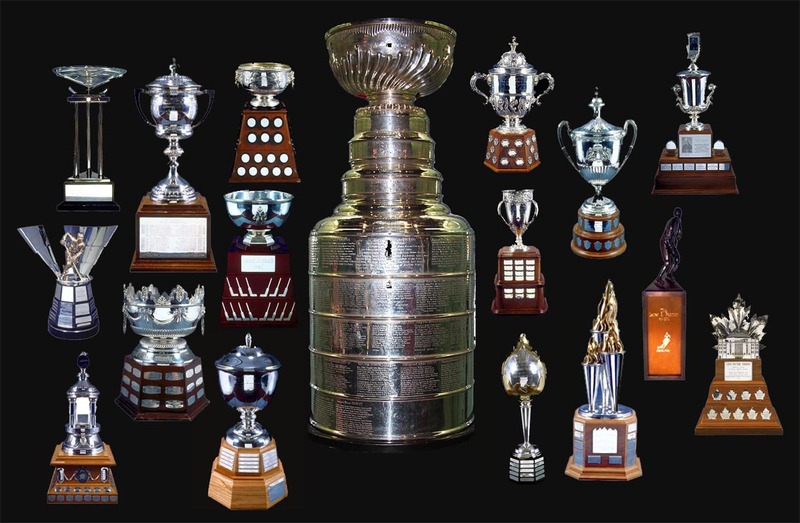 When it comes to the NHL Awards, a handful are earned on statistical achievement while the rest are won through votes cast by various organizations depending on the award. The chart below shows the award winners for the 2016 NHL season. 2016 NHL First All-Star Team honors went to Holtby (G), Doughty (D), Karlsson (D), Crosby (C), Kane (RW) and Benn (LW). The 2016 NHL Second All-Star Team roster was Bishop (G), Burns (D), Letang (D), Thornton (C), Tarasenko (RW) and Ovechkin (LW). The 2016 NHL All-Rookie Team was comprised of newcomers John Gibson (G), Shayne Gostisbehere (D), Colton Parayko (D), Jack Eichel (F), Connor McDavid (F) and Artemi Panarin (F). * See also 2011 NHL Individual Awards Winners.